National Scrapbook Day is today, May 2. As a mother of two children, preserving memories are important to me. This is why I want to share Mixbook with you and what it is all about. 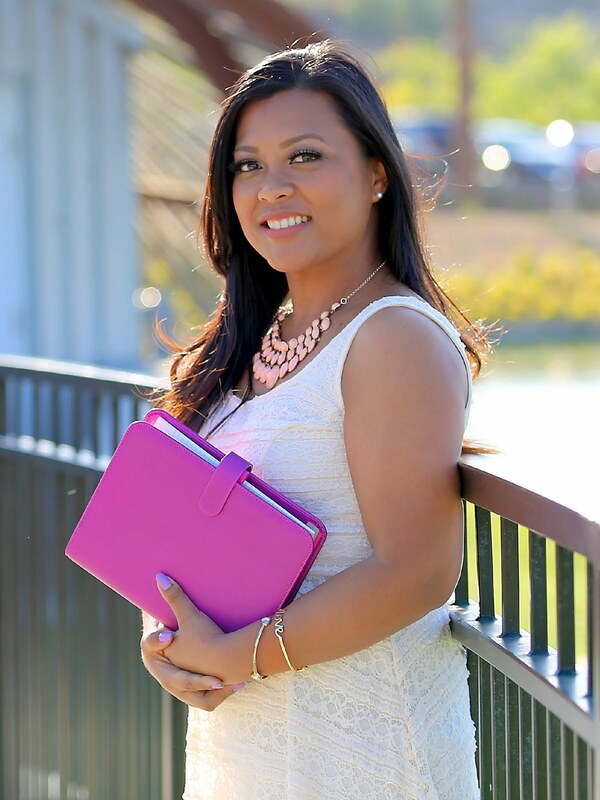 "Mixbook is the easy and fun way to make completely customizable photo books, cards, and calendars on the web. With Mixbook, you aren’t limited to static pre-designed templates – our powerful design software gives you the freedom to lay out and design your creations to your heart’s content. We’ve dedicated ourselves to bringing you the best experience in creating photo products so that you can make keepsakes that truly reflect your vision." You can create Photo Books about your wedding, baby, family, vacation, school, sports team, and more! Did you know you can upload your own digital stickers to Mixbook and use them in your own customized photobooks? 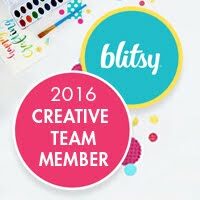 You can also create Photo Calendars. A great feature is that you can even add your own events or photos to the calendar grid! 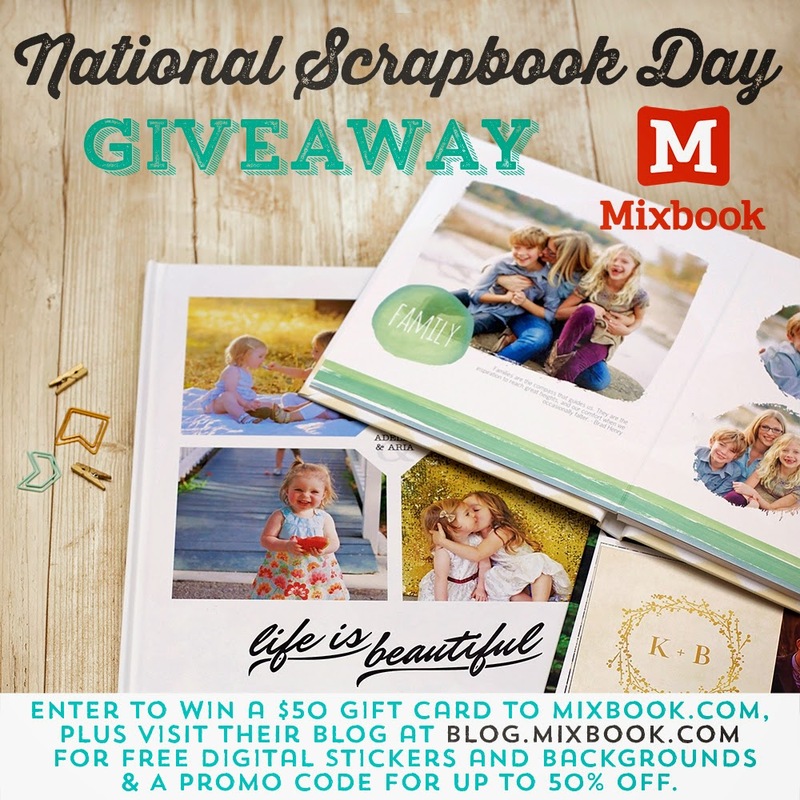 What I am most excited about is Digital Scrapbooking - with thousands of free designs and complete customizability. 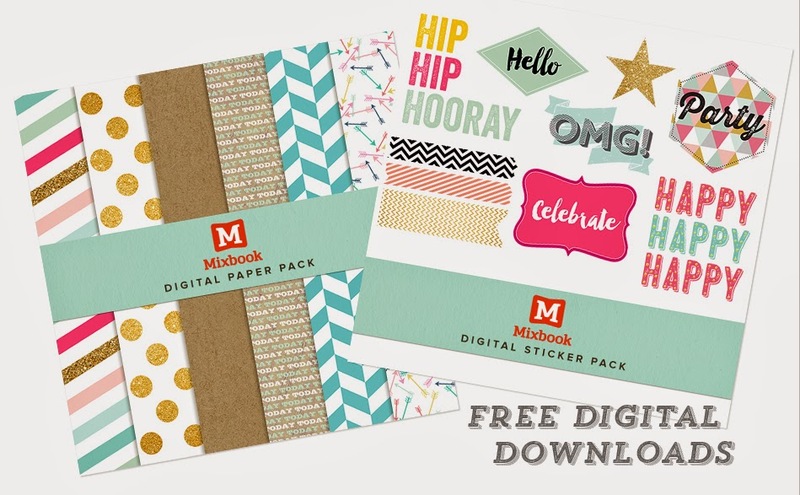 Head on over to The Mixbook Blog now to get FREE digital stickers and backgrounds, plus a promotional code for up to 50% OFF. I have an exclusive giveaway for my followers. Head on over to my Instagram Page to be entered to win a $50 gift card. (You must have an Instagram account to enter.) I will not count entries posted onto this blog.